In December, we were delighted to report the success of our #Vets4Vultures campaign. Thanks to a long list of very generous people we were able to raise a total of £8,539 to aid the plight of birds of prey. busy 2018. 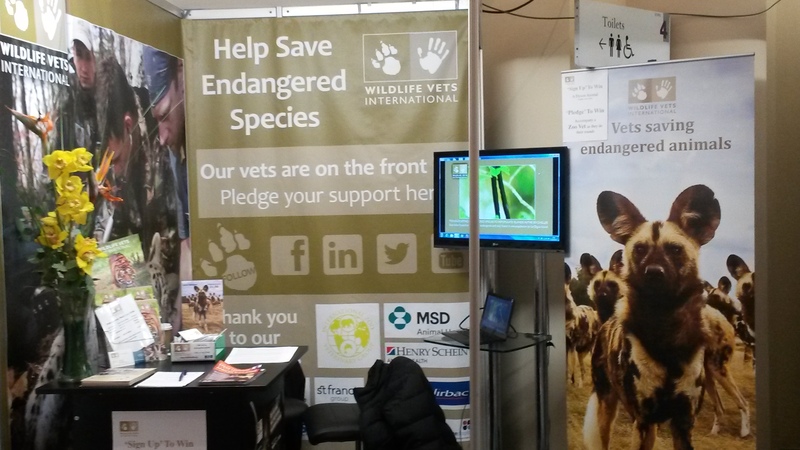 In addition we have a number of vets, trustees and patrons who are talking about our work and to support these efforts and help spread the Wildlife Vets International word, Quadrant2Design have kindly donated 3 charity banners. exhibition stands to be used across their client’s entire events programme. And, that’s exactly what we’ll be doing with our banners! You’ll see the brand new pull-up banners at our upcoming events, including at the Association of Zoo and Exotic Vet Nurses 2018 conference at West Midland Safari Park in June 2018. We’re sending our thanks to Quadrant2Design and can’t wait to use them in the wild!